Simply Fitness London boxing training gives everyone the opportunity to try out one of the world’s best contact sports. Whether you are looking to explore a high degree of fitness, or experience some sparring with other beginners and advanced individuals, we offer a range of classes and personal training sessions for women, men and children. Simply fitness London boxing trainers are equipped with all the tools to help you lose excess inches, tone and improve your body, gain more energy, undertake circuit training, improve your punch technique, pad and bag work, skip for strength and stamina, improve your balance, stance and flexibility, control your aggression and release stress constructively and improve cardiac strength via aerobic exercise routines. Simply Fitness London's most innovative core boxing focuses on exercise rehabilitation and strength conditioning of the core. 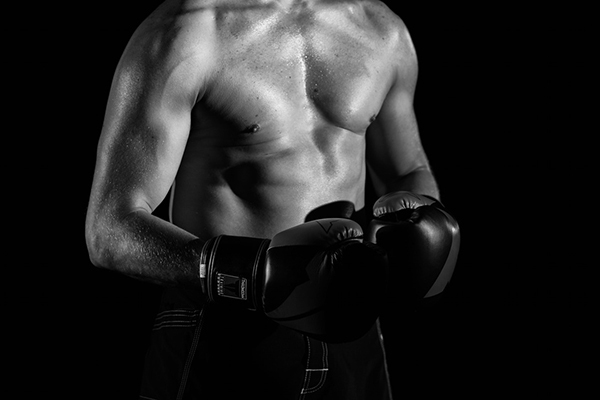 The Core boxing clinic offers a service which has a variety of fitness tool -the correction of posture which involves aligning of the spine keeping it in an upright position during boxing. Observing the core sites whilst moving the hips to help the technique of the punch. Reassessing pre and post video analysis to improve the vision of how to box using the centre part of the body more effectively. Ultimately executing the movement of the core achieving a firm and tight abdominal section which can assist with movement of the hip during boxing training. The 1-1 core boxing exercise session is a quick core routine which begins with the plank exercise. The plank provides a great warm-up that engages all the muscles of the core: the rectus abdominis, the internal and external oblique’s, transversus abdominis, the hip flexors, the erector spinae and multifidus. You can strengthen your core without moving a muscle. Whereas most muscles propel you, your core resists movement—e.g. to protect your spine when you twist your torso. So don't be surprised by how hard it is to stay still in this core workout. You're conditioning your core to do its job more effectively. Our 1-1 service helps increase the difficulty and intensity of this movement. Alternate lifting one arm out in front of you while maintaining your posture for 10 seconds and then repeating on the other side. You can do the same with each leg also, by lifting your foot up and holding that position for 10 seconds and repeating on the opposite leg. This is a great way of improving the whole centre part of your body and helps to increase your punching power, balance, hip movement and having a firm core for boxing. Shadow boxing is one of the most important boxing exercises. It helps to develop hand speed, balance, technique and fighting style. It conditions your body to throw fast punches and gives you the opportunity to practice all fighting movements. Shadow boxing is an exercise that both amateurs and professionals use in the gym. Shadowboxing is like meditation and visualization exercise for a boxer. Skipping is the most effective exercise for conditioning a boxer. It helps to increase muscle efficiency. Using the skipping rope can help to both condition and relax the body. Most beginners have a problem of always using and engaging their muscles and not knowing how to relax. If you do this you will gas out in a few minutes tops. Skipping works the arms, shoulders, back, legs and abdominals. It improves footwork and helps towards a more relaxed footwork. Combine that great body conditioning with the improved muscle relaxation, and a raised level of awareness and you will see why the skipping rope helps to make better fighters. 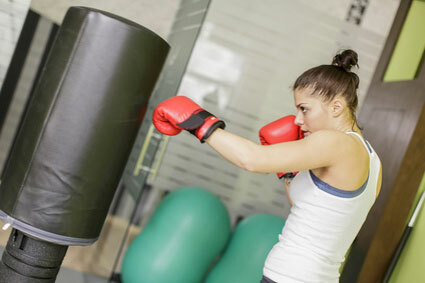 The punch bag is used to improve the skills of a boxer, but it also has many benefits. For example it increase aerobic endurance, increases punching power, improves co-ordination, improves body shape and improves technique. Running increases aerobic and anaerobic endurance capacities and burns calories faster than any other form of cardio. 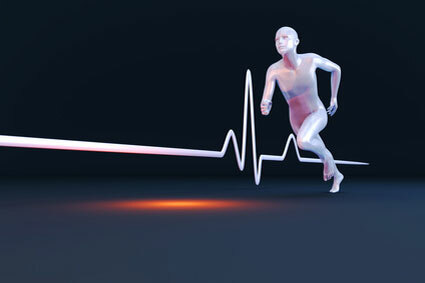 Running is one of the most functional movements of the human body. The structural placement of our limbs and muscles make running one of the most natural and efficient ways to use (and exercise) our entire body. 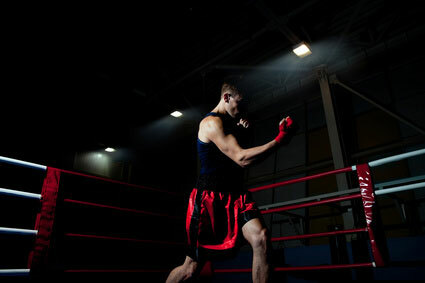 Running helps the boxer to breathe more efficiently during fights and other exercises. Simply Fitness London's most innovative core boxing focuses on exercise rehabilitation and strength conditioning of the core. The Core boxing clinic offers a service which has a variety of fitness tools, the correction of posture which involves aligning of the spine keeping it in an upright position during boxing. Observing the core sites whilst moving the hips to help the technique of the punch. Reassessing pre and post video analysis to improve the vision of how to box using the centre part of the body more effectively. Ultimately executing the movement of the core achieving a firm and tight abdominal section which can assist with movement of the hip during boxing training. There are many exercises available for developing strong abs and building core strength, but few methods offered for elevating that strength. One element that is important no matter if you are a boxer is core strength. You need to have a strong and stable torso regardless of your favourite form of exercise. To test your core strength is simple and you can do it home; all you need is a stopwatch. 1. Start by lying on your stomach on the floor and place your elbows directly underneath your shoulders with your forearms on the floor making parallel lines. 2. Curl your toes under and press up into an elbow plank and start timing yourself. 3. Hold the plank for as long as you can. Keep your body in a straight line and your elbows pointing back, not to the sides. Lower until your chest is a fists height off the floor then push back up. The test is over when you can’t maintain perfect form. Complete a set to failure, rest for a few minutes and start again. 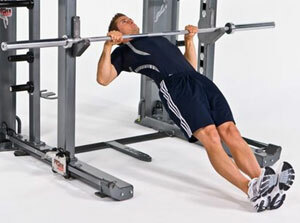 This will overload the targeted muscles, making them grow stronger. Pull ups are important for boxers, because it increases the strength of the back muscles. Assessing the boxer will show if the boxer has a strong or weak back. A strong back will help deliver stronger punches and faster hip movement. Grip the bar overhand, extend your arms fully and let your body hang. Pull up until your chin is over the bar, squeezing your lats. Lower again without swinging. The test is over when you can’t maintain perfect form. Do a max set, rest for a few minutes and repeat. Try lat pull-downs on a machine to build back strength. Assessments are important for all boxers, beginners or advanced, amateur or professional, Everybody has to do a full fitness assessment. Simply Fitness London boxing provides one-off assessments so we can get a professional understanding of you and your medical history before we start working you out.